I gotta say, Pinkies outfit was quite a challenge from a vectoring standpoint. That candy headband took about one hour alone to trace. Gotta love the artists behind this show, that took the time to design this thing. 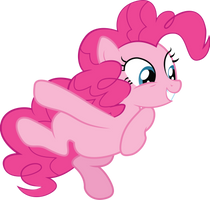 Traced from: "A Hearthswarming Tail"
"dances with pinkie" Oh yeah, that's the reason alright! 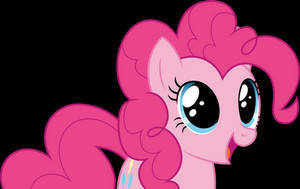 Pinkie never stops being this cute! Oh, that outfit is wonderful! Classy, but still so Pinkie.